Create a complexion that seems lit from within with the SEKKISEI Herbal Gel, a multi-purpose formula that acts as an emulsion, serum, cream, massage oil and face mask all in one. 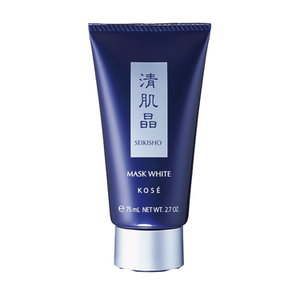 After SEKKISEI lotion, apply 1 or 2 pumps over the skin. Water (Aqua), Glycerin, Butylene Glycol, Cetyl Ethylhexanoate, Alcohol, Dipentaerythrityl Hexahydroxystearate/Hexastearate/Hexarosinate, Hydrogenated Lecithin, Dimethicone, Angelica Acutiloba Root Extract, Artemisia Princeps Leaf Extract, Eriobotrya Japonica Leaf Extract, Melothria Heterophylla Root Extract, Saccharomyces/Coix Lacryma-Jobi Ma-Yuen Seed Ferment Filtrate, Tocopherol, Acrylates/C10-30 Alkyl Acrylate Crosspolymer, Carbomer, Cholesterol, Disodium EDTA, PEG-400, Phytosteryl Macadamiate, PVP, Sodium Hydroxide, Fragrance (Parfum).